Once you’ve enabled Mobile Banking in your Online Banking profile, you can download the app using the buttons below. 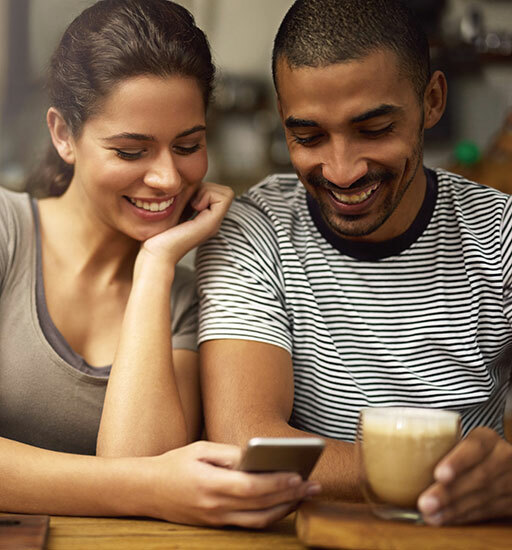 Our Mobile Banking & Mobile Deposit services provide smartphone and tablet users with account access anytime, anywhere. You can check balances, make transfers, pay bills – even deposit checks* – with just your iPhone®, iPad®, or AndroidTM smartphone or tablet. Your mobile carrier’s data rates may apply. Mobile Banking & Mobile Deposit are available to all customers enrolled in Online Banking. Mobile Banking enrollment is a two-step process. First, you must enable Mobile Banking in your Online Banking profile, under the “Profile” menu. Follow the prompts to enable the service. Next, download our Mobile Banking app for your device from either the App Store (Apple iOS devices) or Google Play (Android devices). Once it’s downloaded, you should be good to go. *The default Mobile Deposit limit is $3,000/day. If you require an adjustment to that amount, please contact us at 888-828-1690. Apple, the Apple logo, and iPhone are trademarks of Apple Inc., registered in the U.S. and other countries. Android is a trademark of Google Inc.
Make secure purchases using just your iPhone or compatible Apple device. Use your Samsung mobile device to make payments almost anywhere. View balances and transactions, set alerts, transfer funds, and pay bills from your computer or tablet. © 2019 Bank of Canton. All Rights Reserved. NMLS #408169. Member FDIC. Member DIF.